#TaxJustice is when taxes are fairly raised and fairly spent. 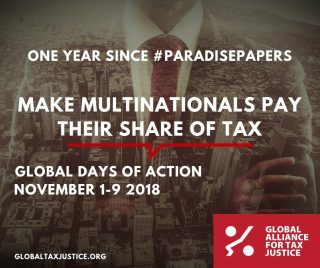 Women need #TaxJustice now. 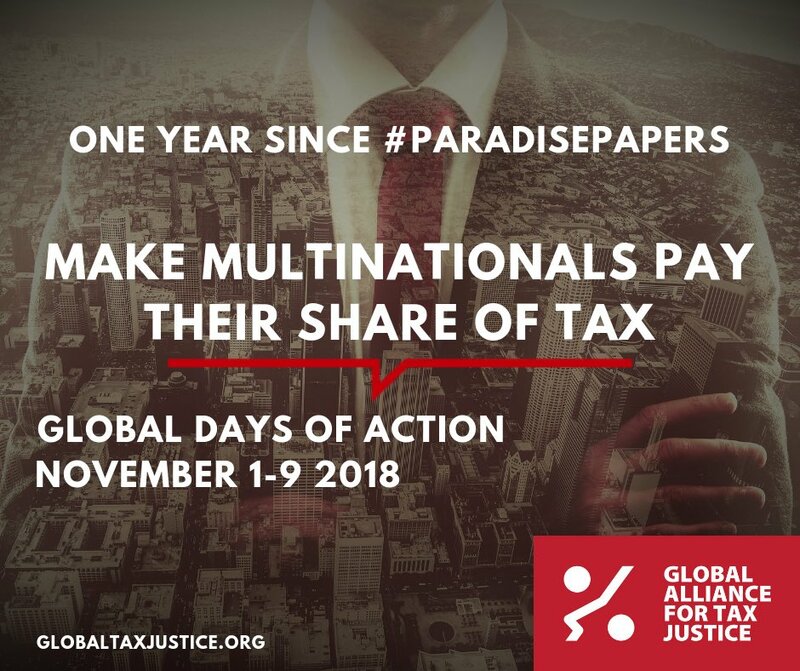 The first week of November 2018 marks the one year anniversary of the release of the Paradise Papers – yet another high profile tax scandal that highlighted the human impact of global tax dodging, exposing the wealthy individuals and multinational companies who dodge taxes.